Dubai: Tourists visiting the UAE will be able to claim a refund on the five percent value-added tax (VAT) they pay whilst visiting the country, the UAE cabinet announced on Wednesday. The system is set to go live in the fourth quarter of 2018 and will apply to purchases made on goods at “participating retailers.” The cabinet said that the move was intended to support the growth of tourism. According to a statement released by the cabinet, the refund mechanism will be overseen by an international firm that specializes in tax recovery services, linking retail outlets and designated tax refund points. It is unclear who has been selected to administer these services. Global Blue and Travelex, two leading tax refund companies, declined repeated requests for comment. In April, the Federal Tax Authority (FTA) said that it expected a company to be “selected soon” to handle the process. “We are waiting for the final approvals in order to finalize the contract with the operator,” Khalid Al Bustani, director-general of the FTA, told members of the press at the time. The refund system will only be eligible to those traveling to the UAE from outside Gulf Cooperation Council (GCC) countries. Tourism contributes heavily to UAE’s economy; in 2017, nearly 16 million people visited Dubai, while a further 123 million passengers traveled through the country’s airports. In total, the tourism sector contributed 11.3 percent to the UAE’s GDP in 2017, equivalent to Dh154.1 billion. 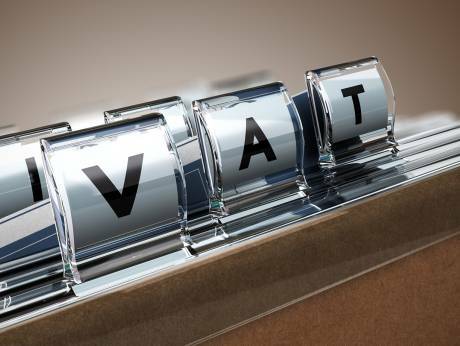 According to the executive regulations on VAT released last year, the goods must be supplied to the visitor whilst he or she is in the country, at the time of purchase in order to qualify. Some goods may be exempt from refund, it added. A list of exempted goods has yet to be published by the FTA.